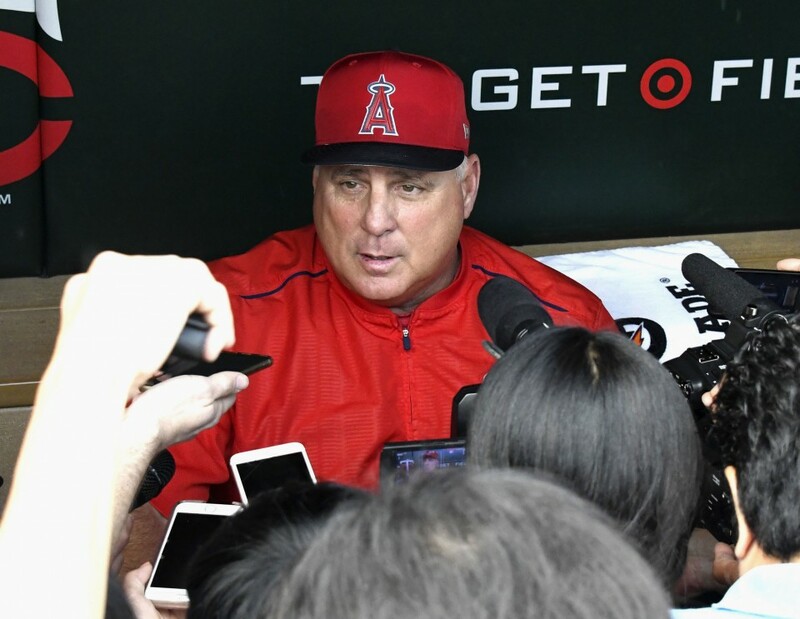 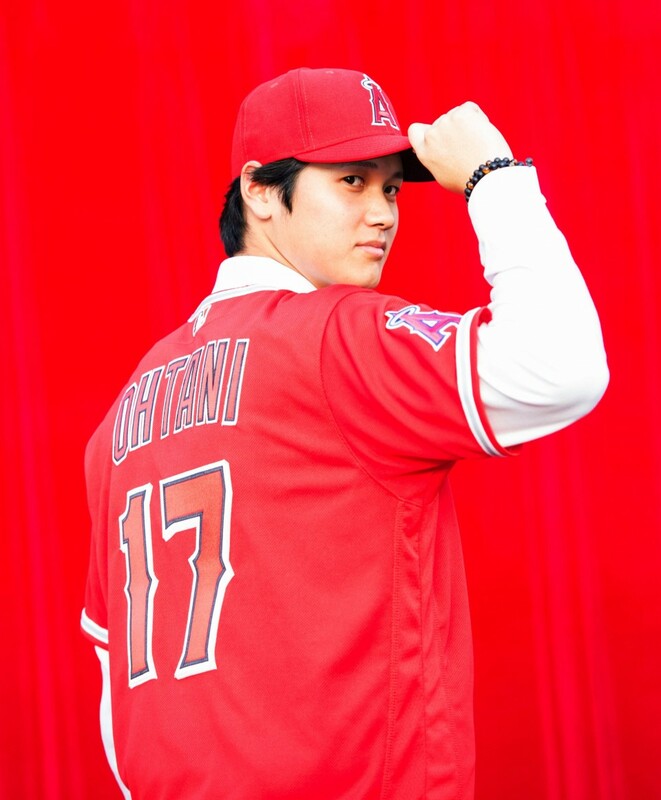 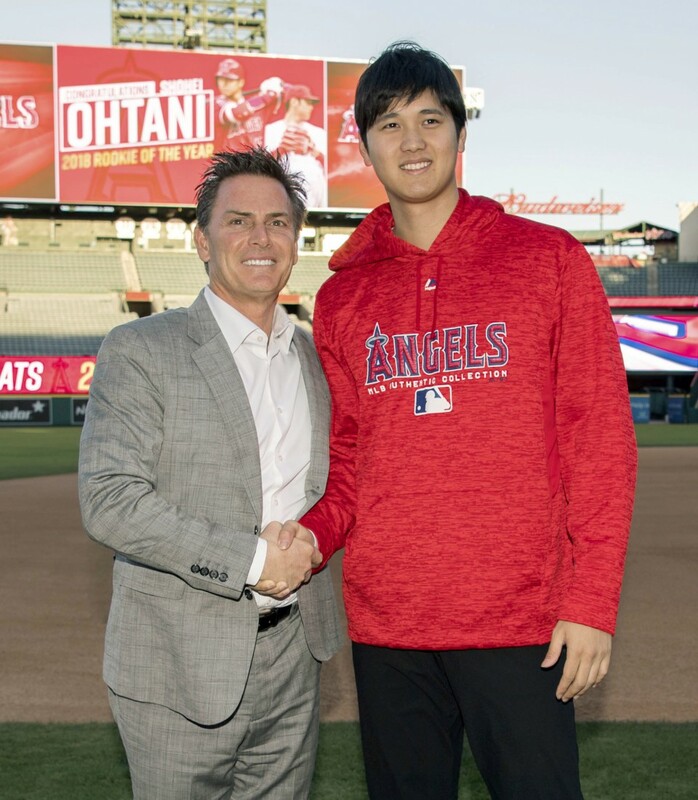 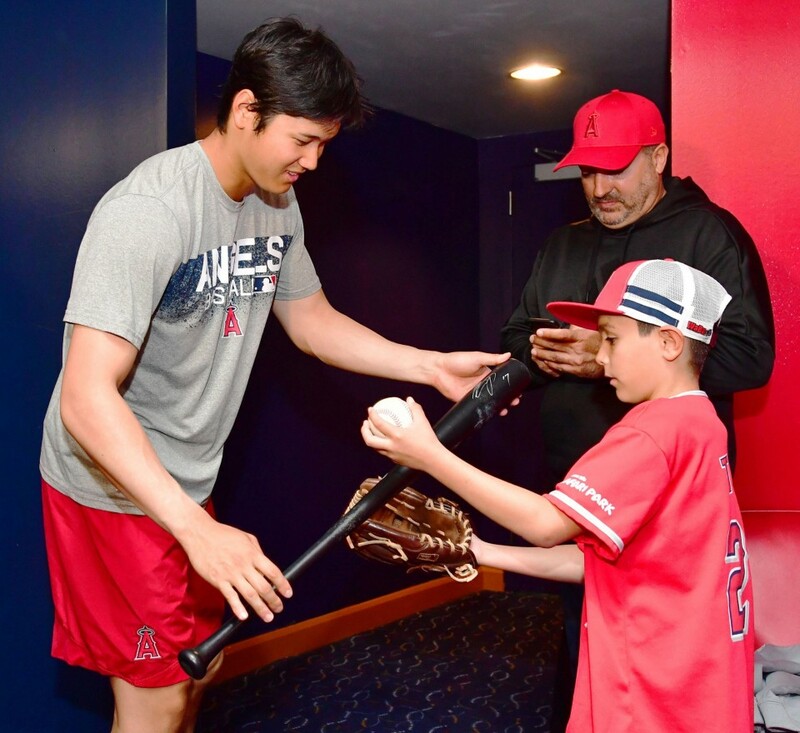 Ohtani meets the press in a Los Angeles Angels jersey in Anaheim. 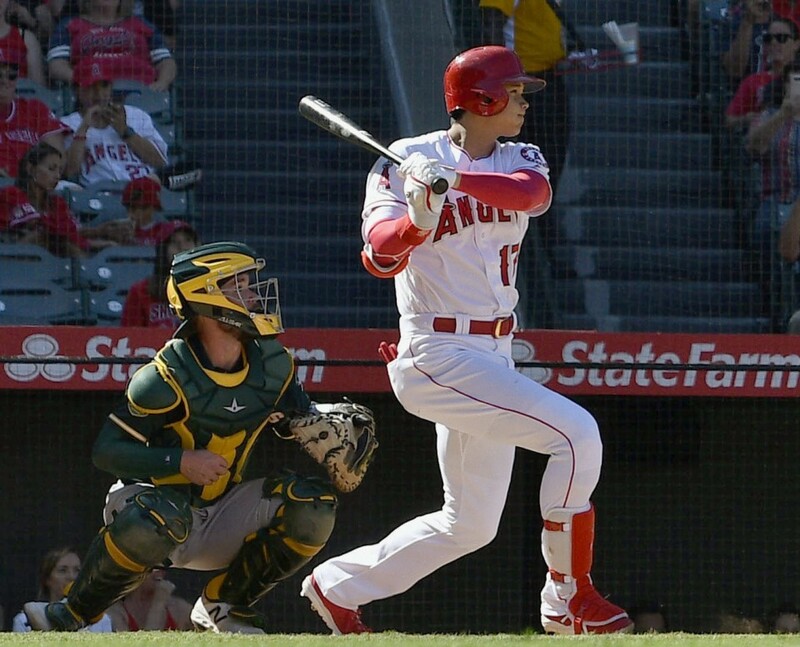 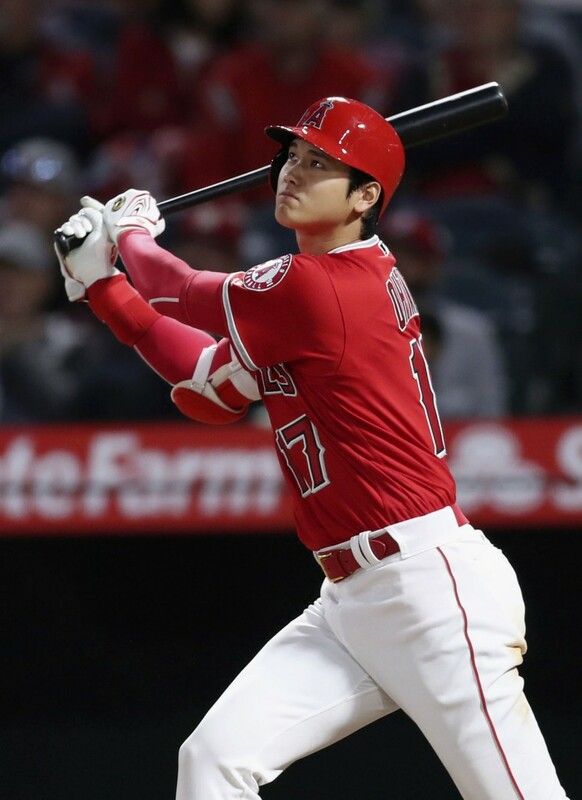 Ohtani makes his major league debut as a hitter and singles in his first at-bat in a game against the Oakland Athletics. 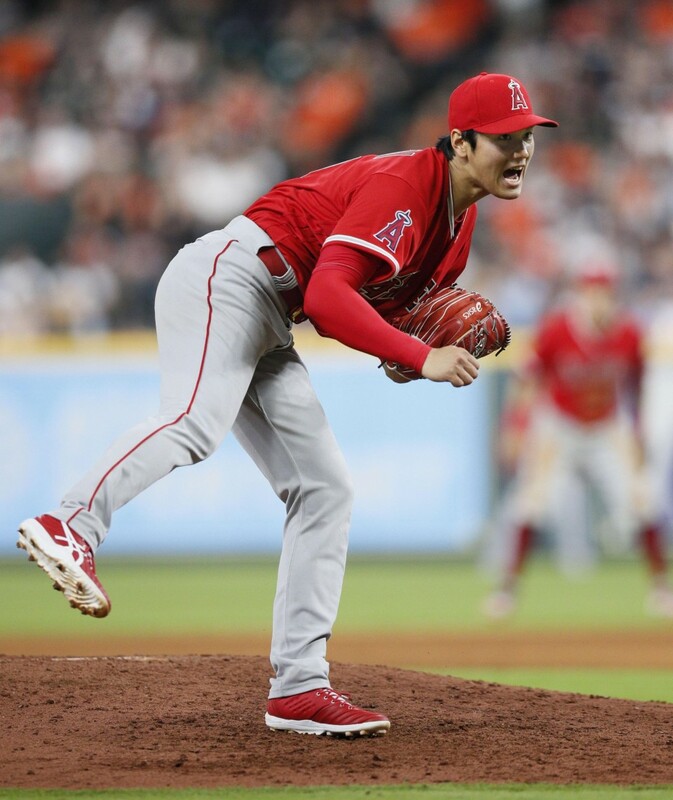 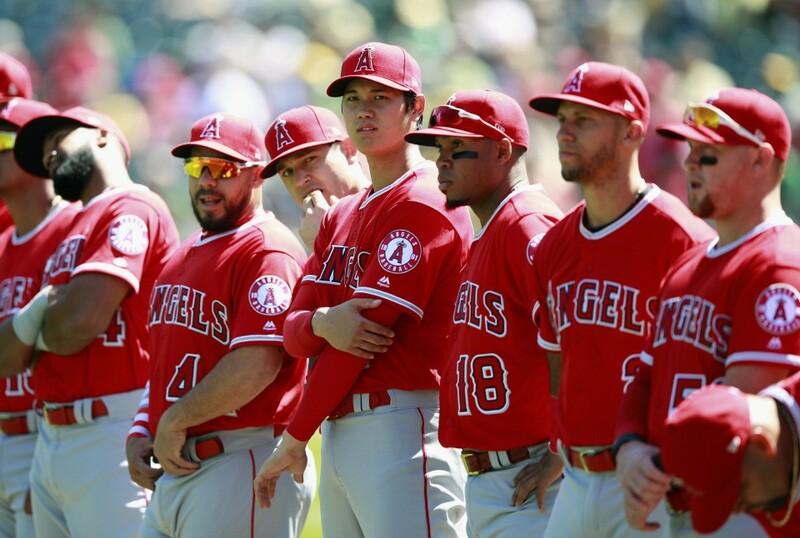 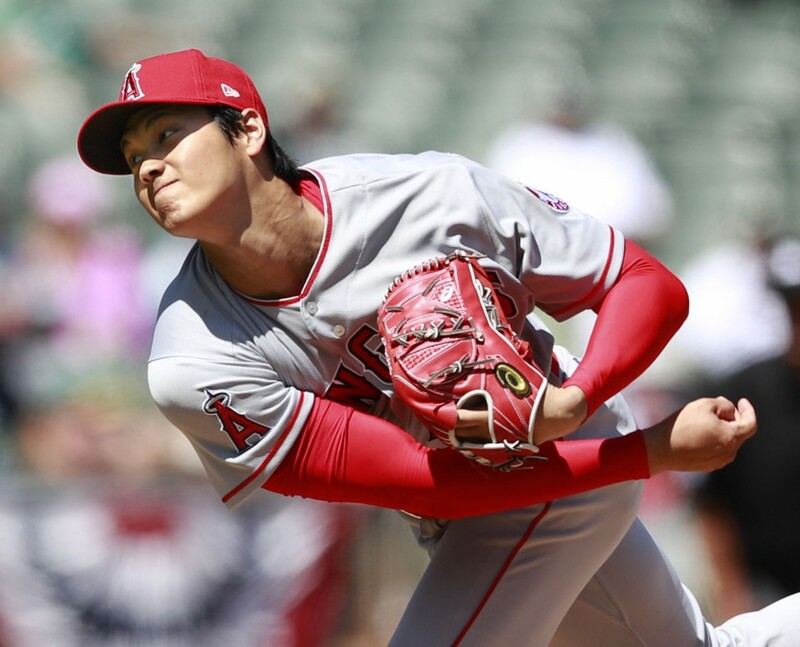 Ohtani pitches against the Oakland Athletics and wins on his major league pitching debut, allowing three runs in six innings in a 7-4 victory. 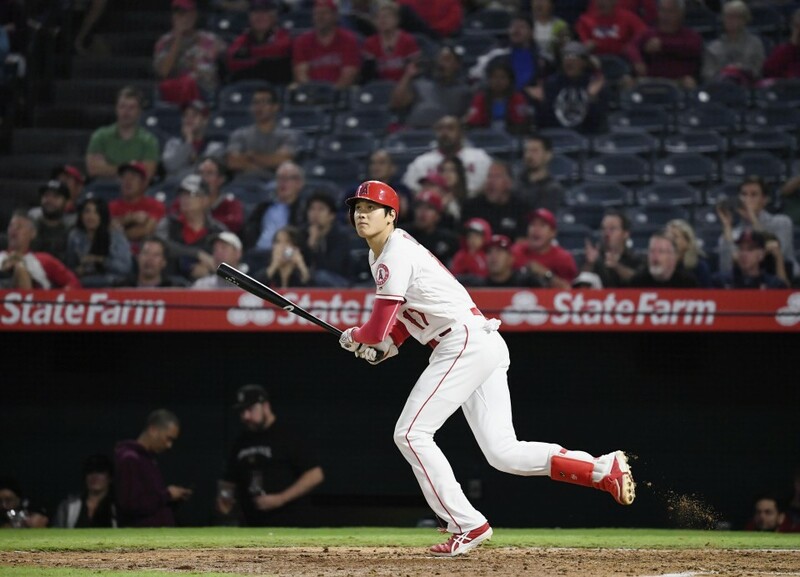 Ohtani hits his first homerun in the major league, a three-run shot in a 13-2 victory over the Cleveland Indians. 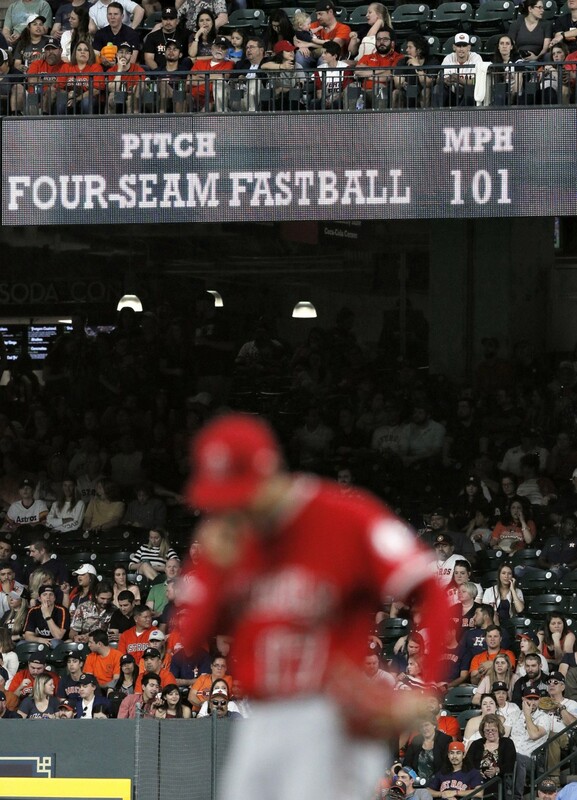 Ohtani touches 101 miles per hour on the gun, clocking a total of eight fastballs at or over 100 mph in a game against the Houston Astros. 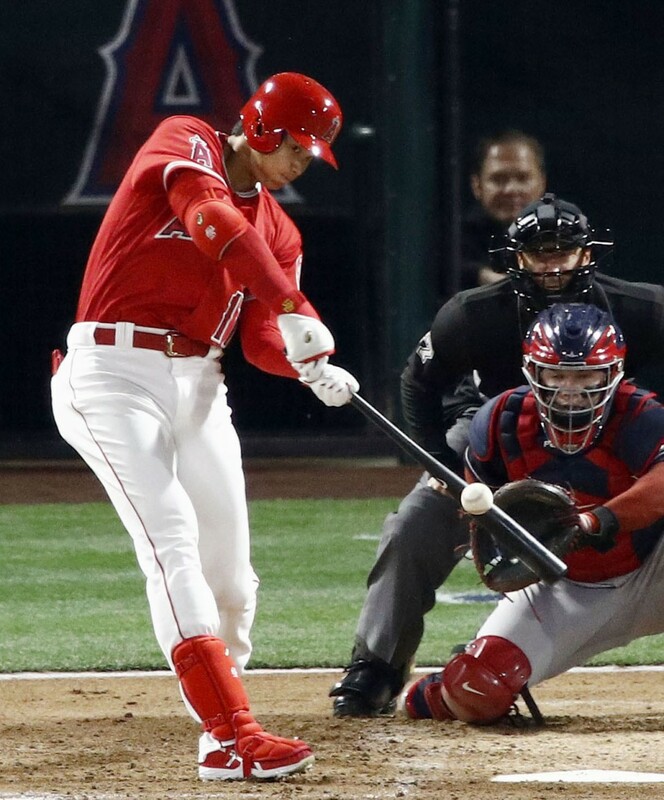 Ohtani blasts his fifth home run of the season in a game against the Minnesota Twins. 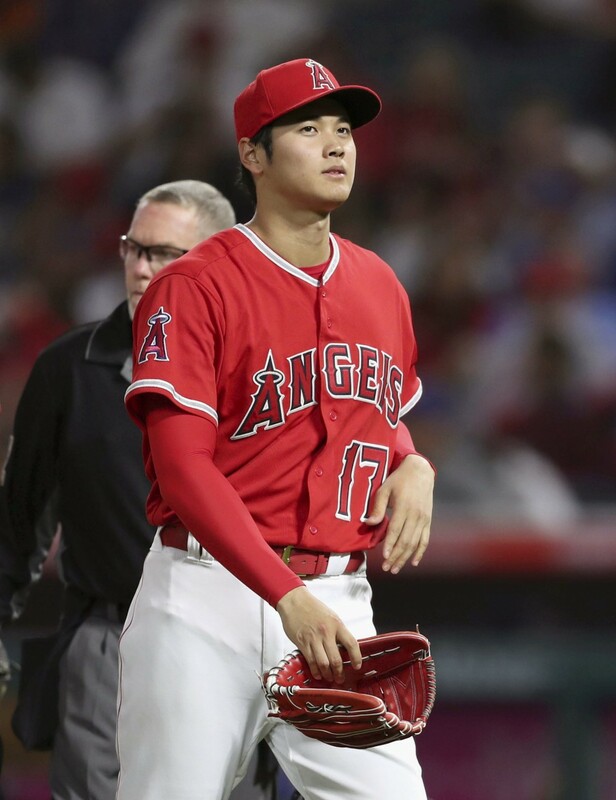 Ohtani goes on the disabled list with an injury to his pitching elbow -- a Grade 2 sprain of the ulnar collateral ligament. 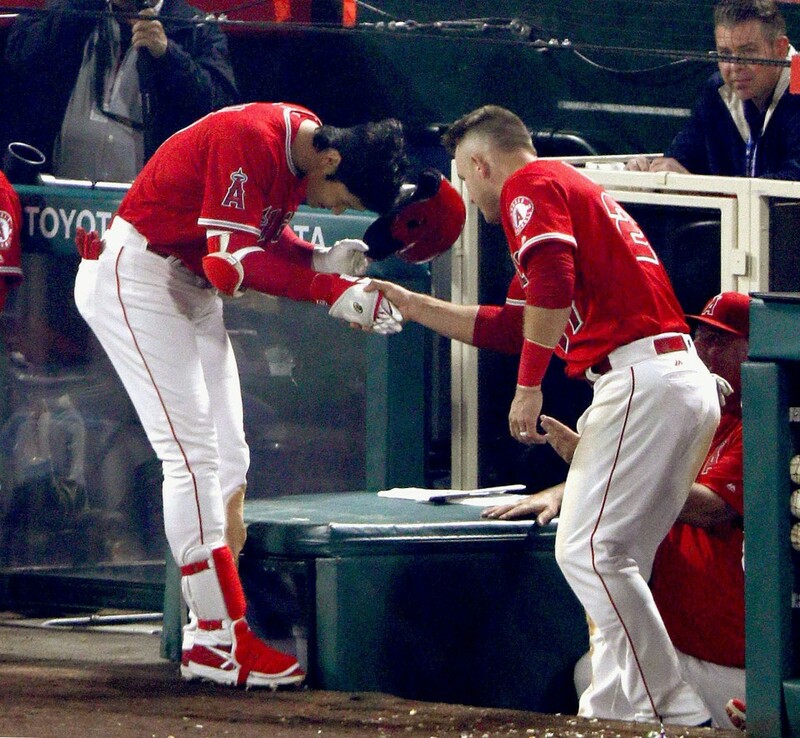 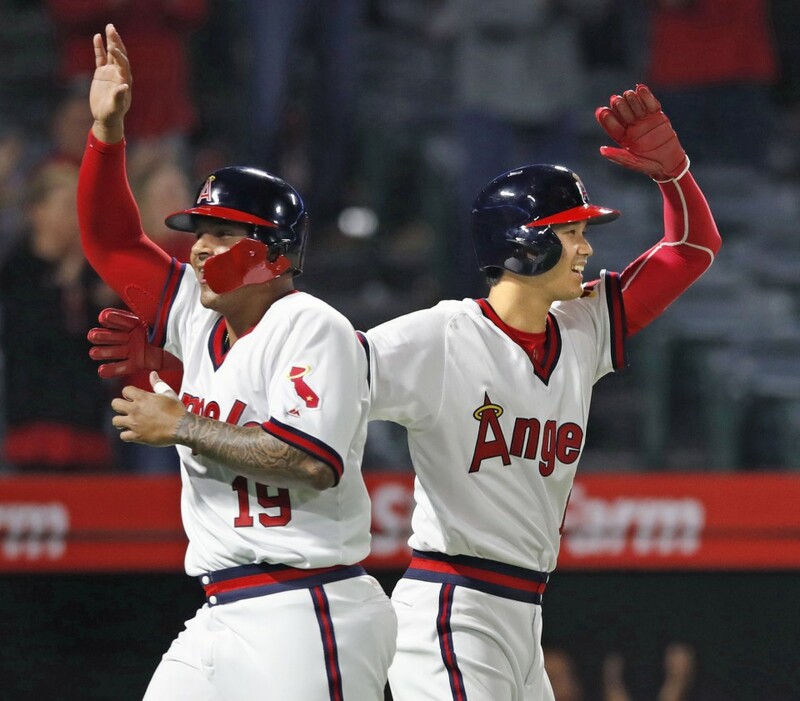 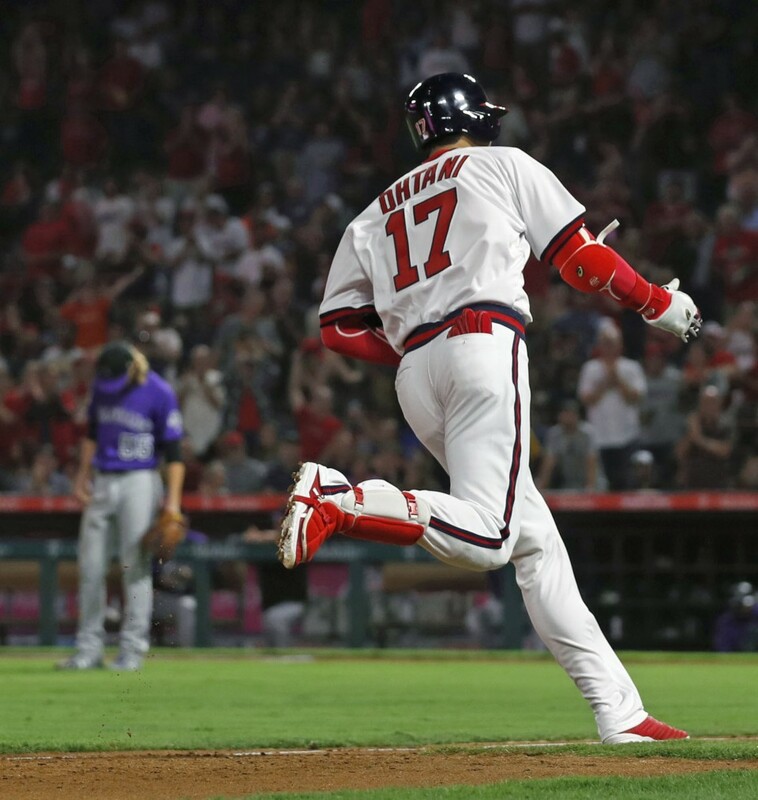 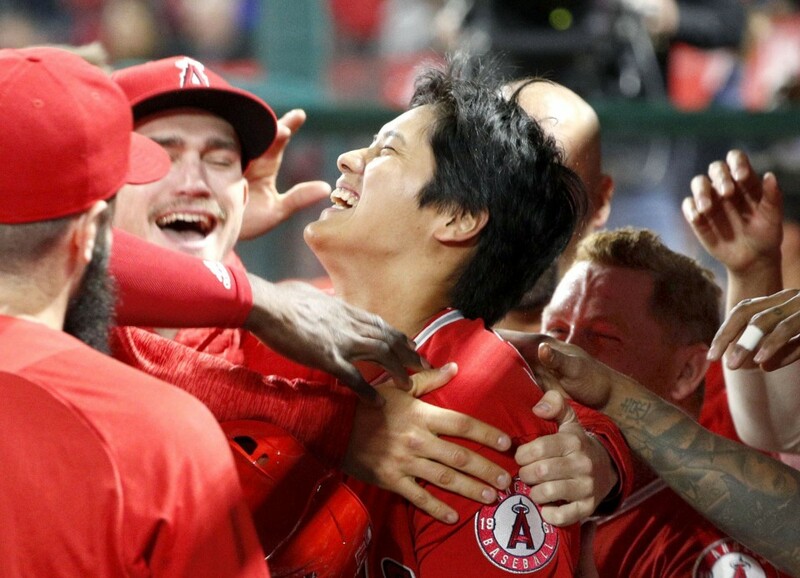 Ohtani goes 2-5 with a three-run homer, his 15th of the season, and two runs scored as the Angels come from behind twice to beat the Colorado Rockies 10-7. 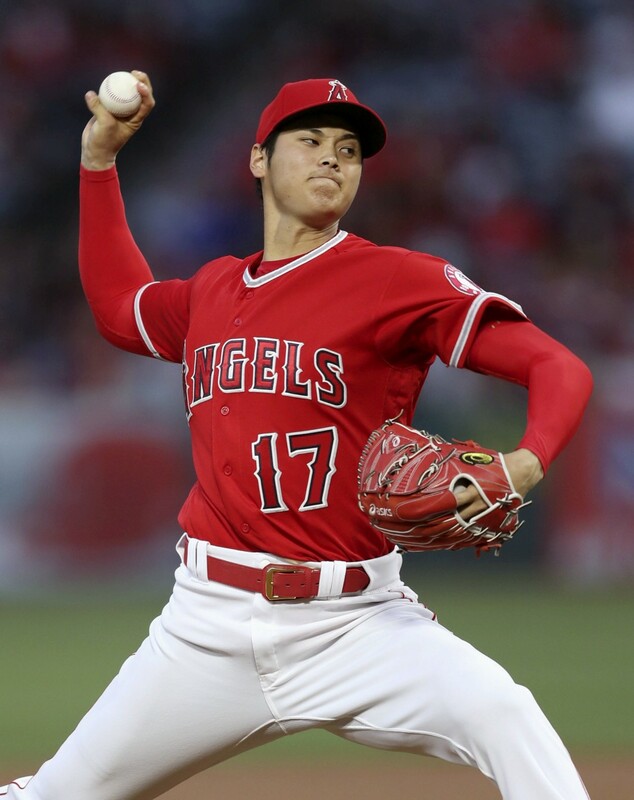 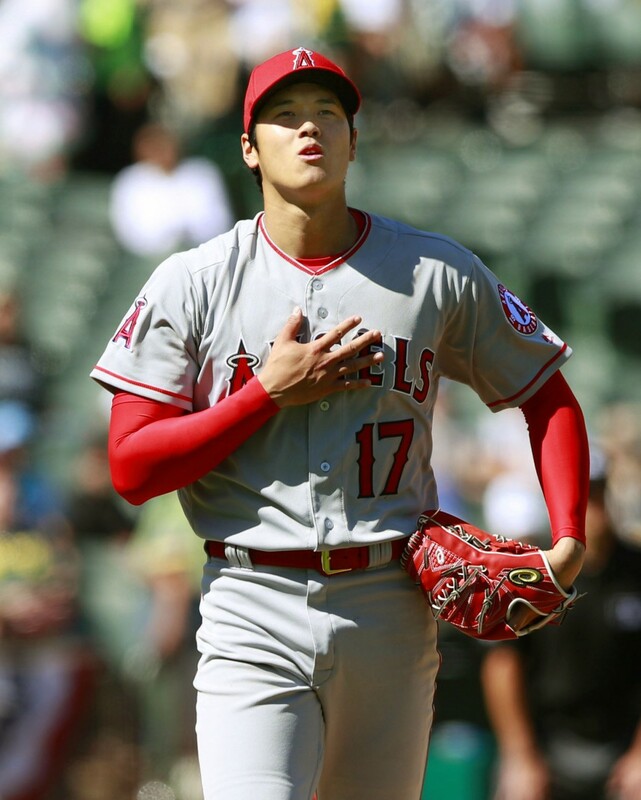 Ohtani returns to the mound in his first start since June 6, suffering his second loss of the season in a 4-2 loss against the Houston Astros. 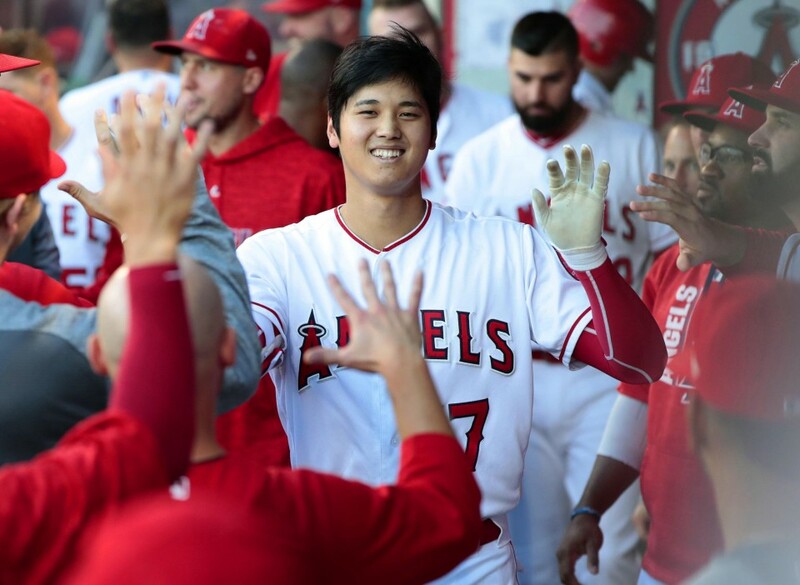 Ohtani hits a home run in a game against the Seattle Mariners, becoming the second Japanese major leaguer to hit 20 home runs in a single season. 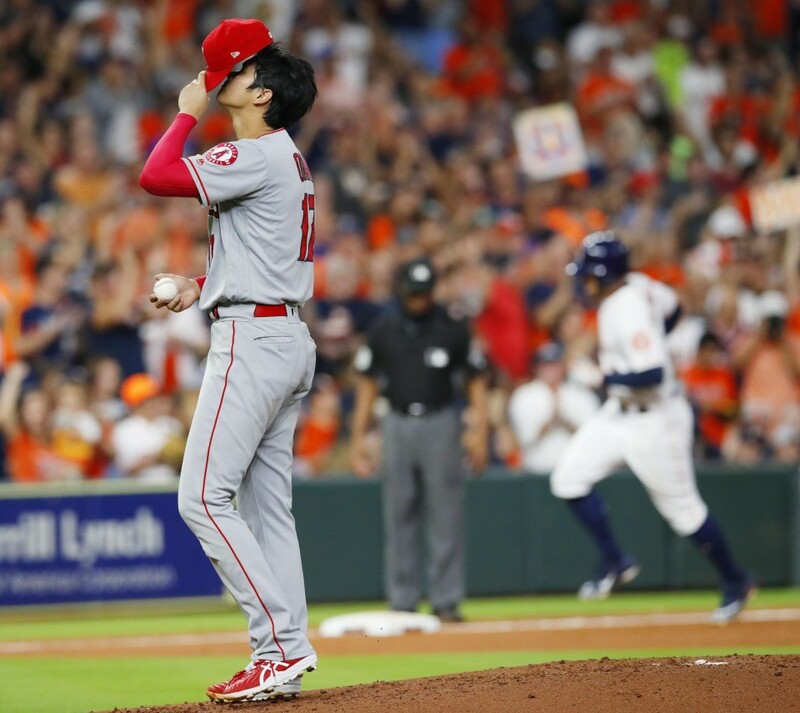 Ohtani matches a career high with his 22nd homer in a game against the Texas Rangers. 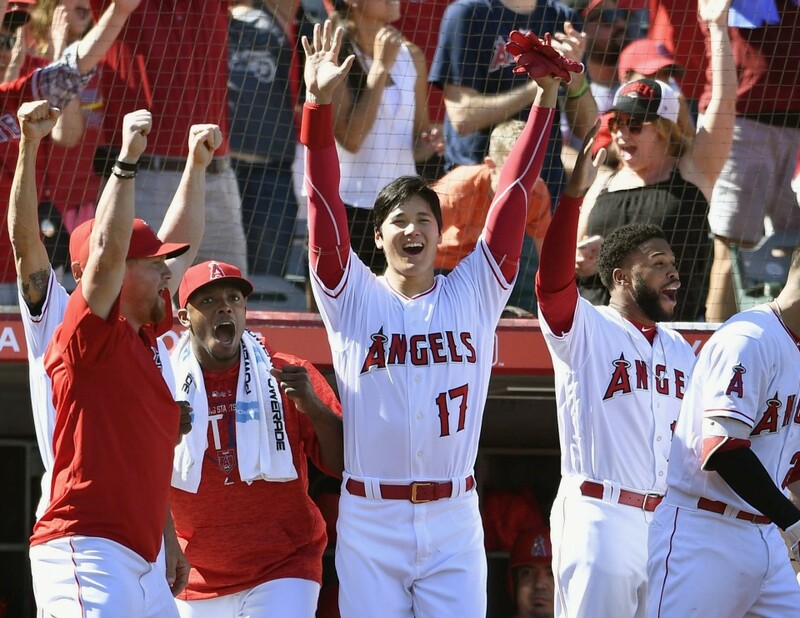 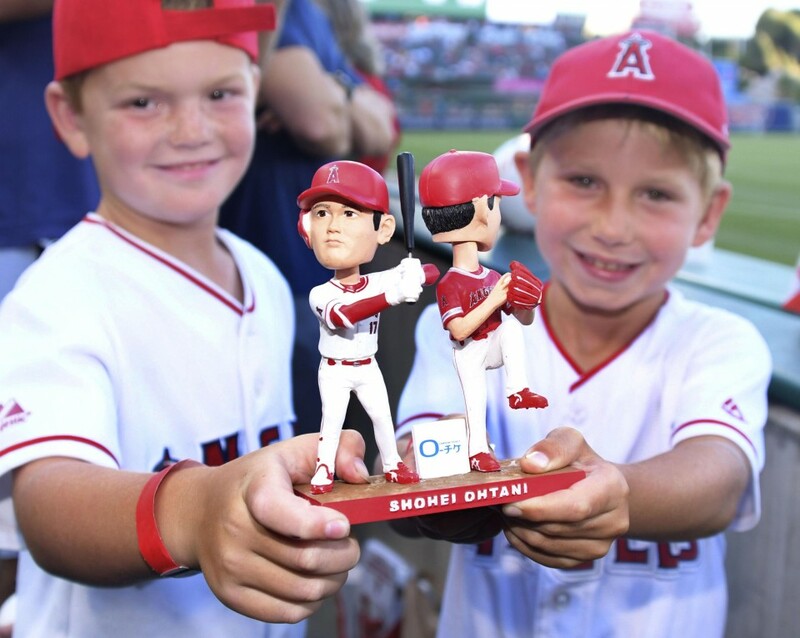 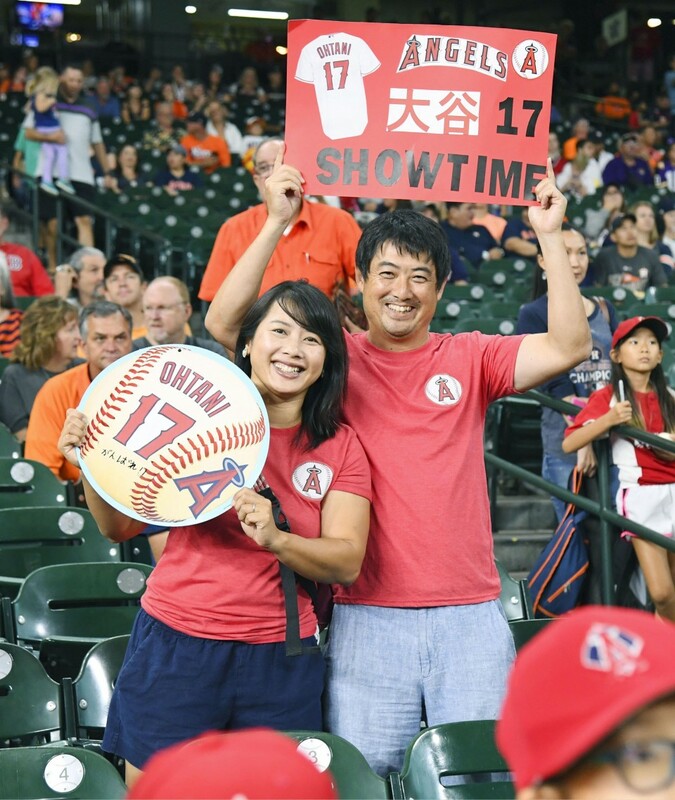 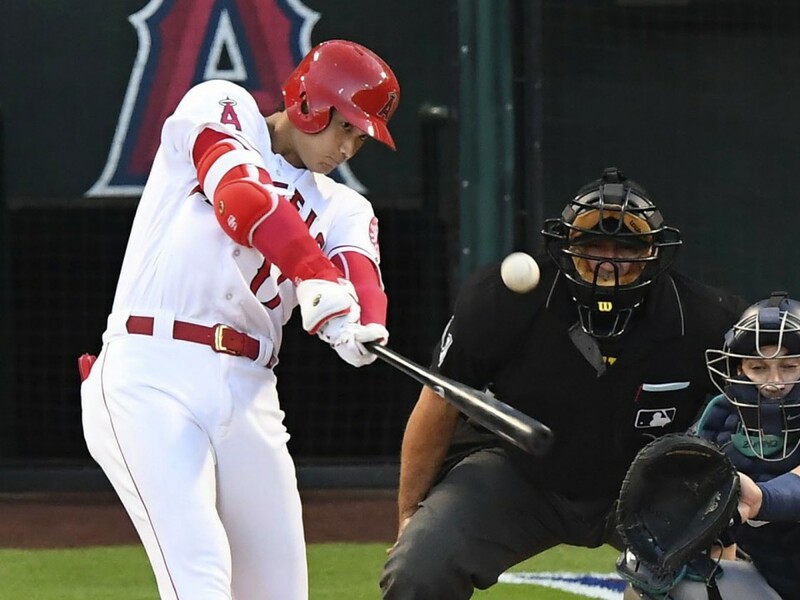 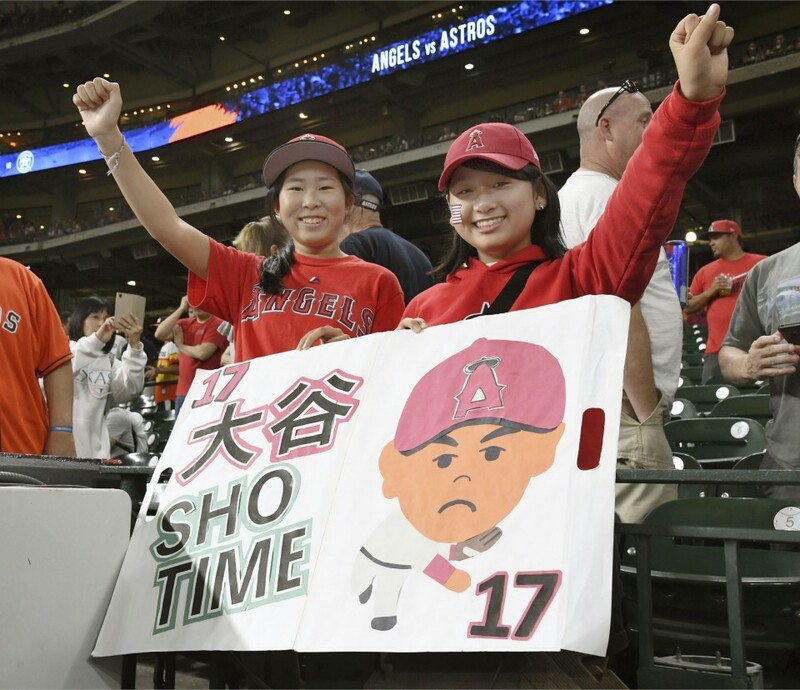 Ohtani singles and scores to spark a ninth-inning comeback rally in the regular-season finale in front of a home crowd at Angel Stadium. 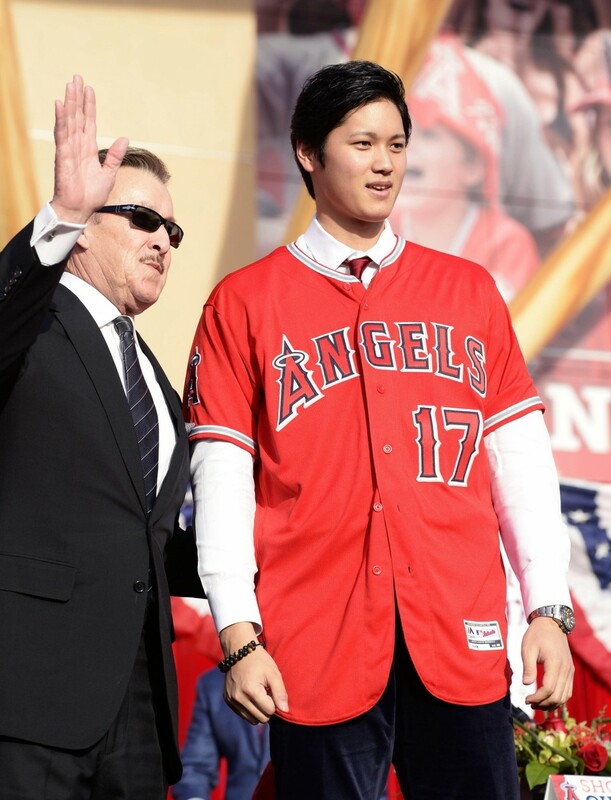 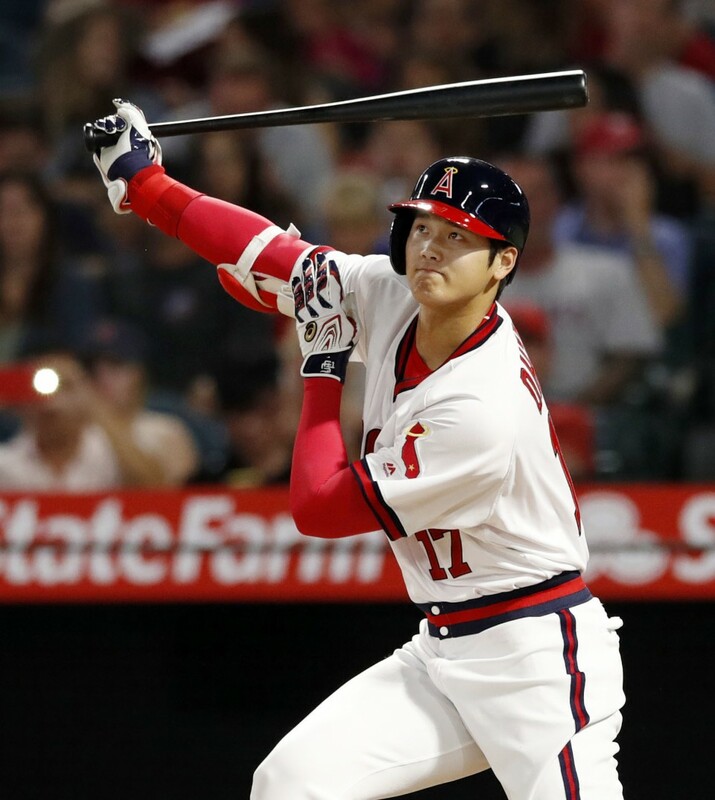 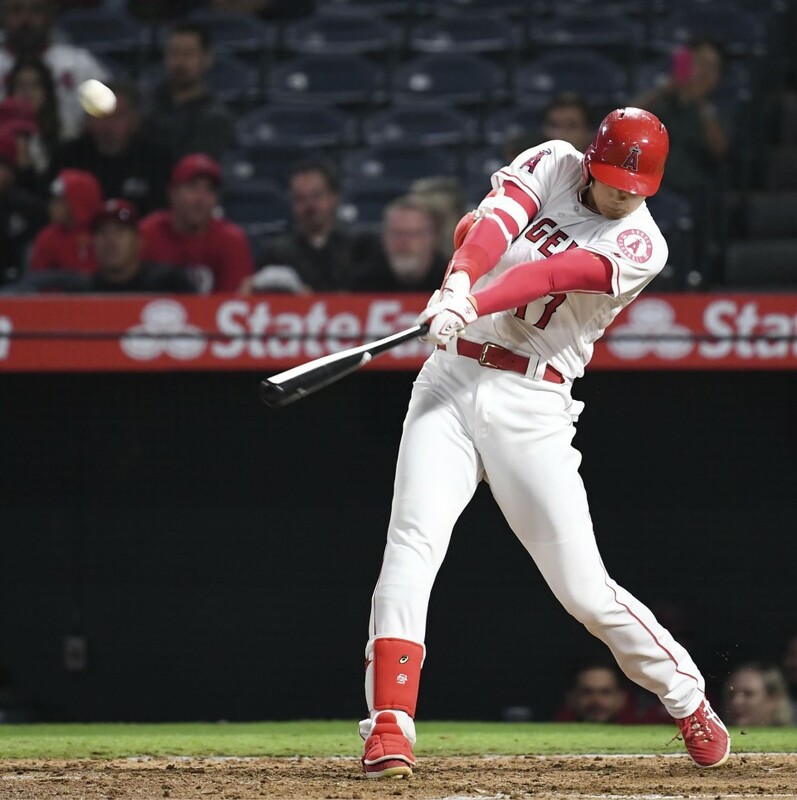 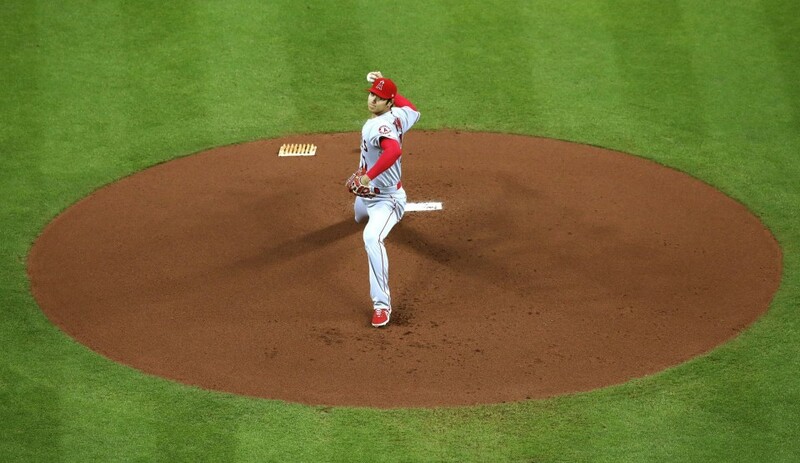 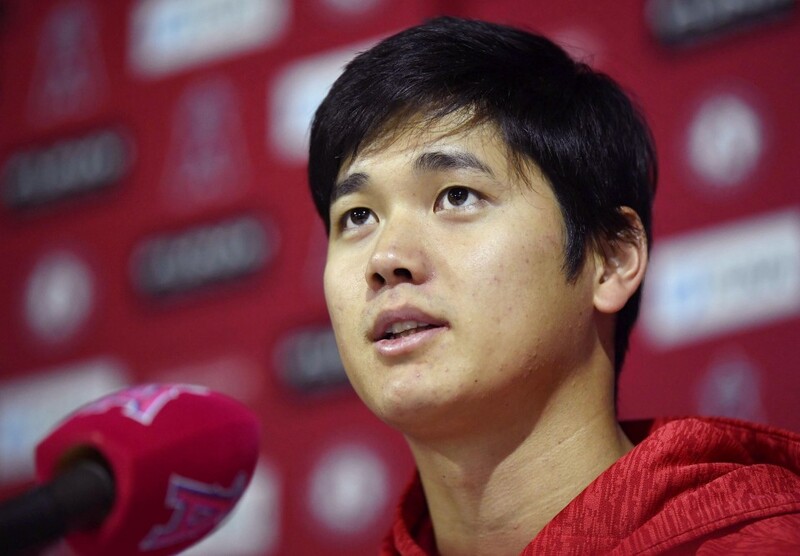 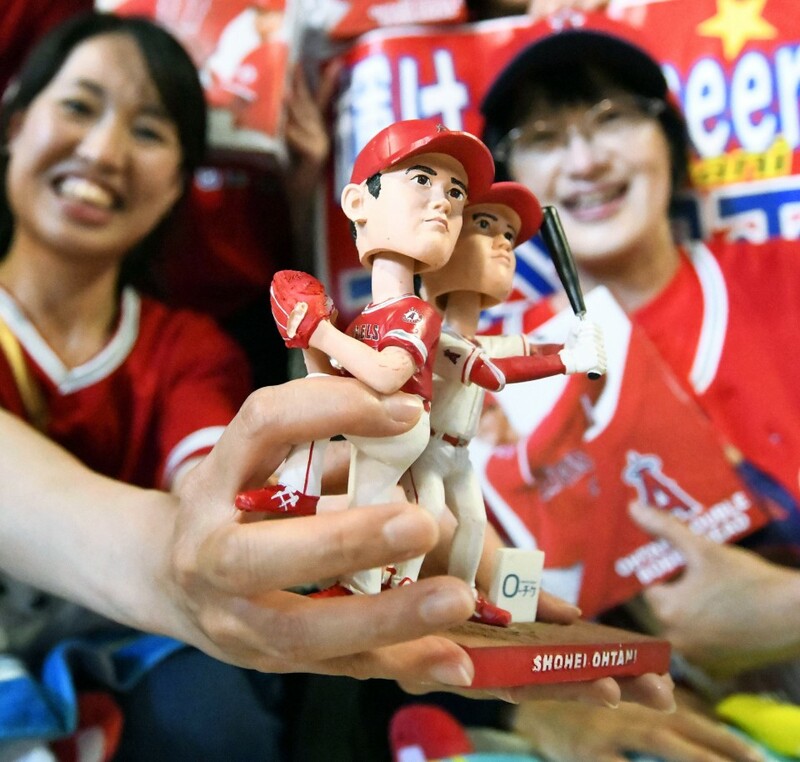 Ohtani is named the best first-year player in the American League, becoming the fourth Japanese player to win a Major League Baseball Rookie of the Year Award. 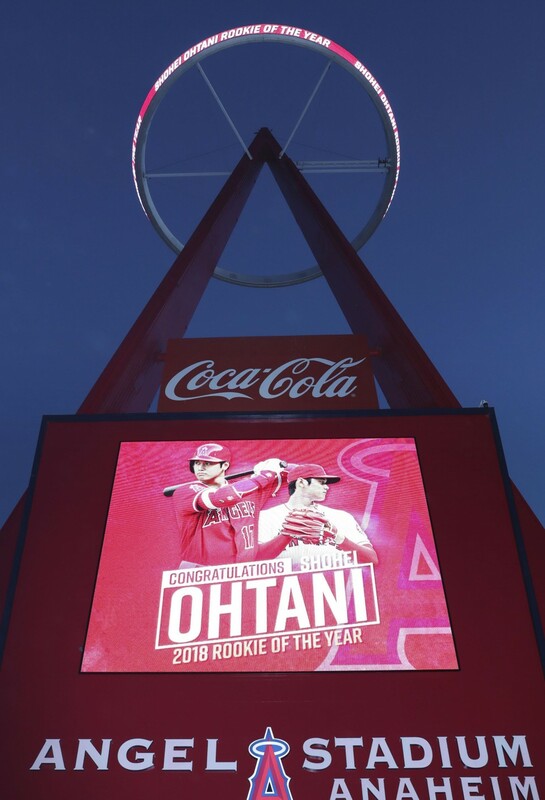 Ohtani had 22 homers as a hitter and 63 strikeouts as a pitcher. 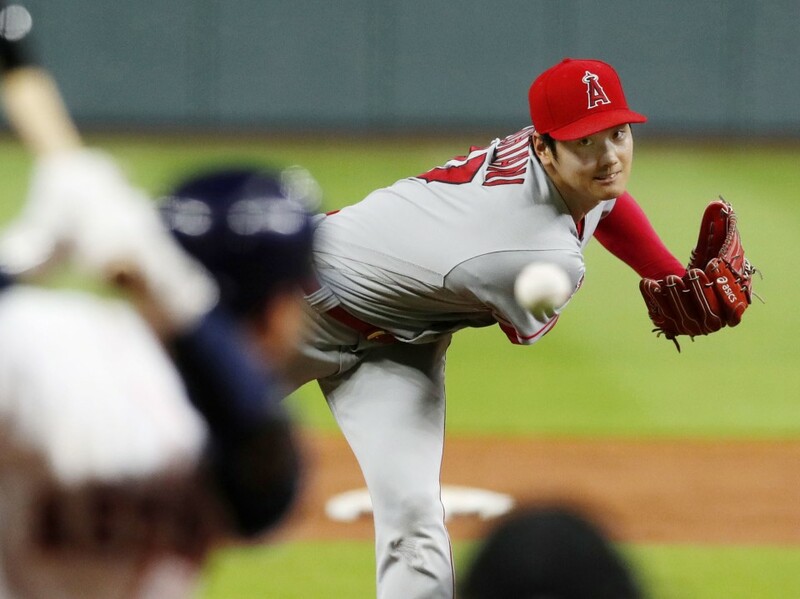 On the mound, he went 4-2 with a 3.31 ERA in 10 starts. 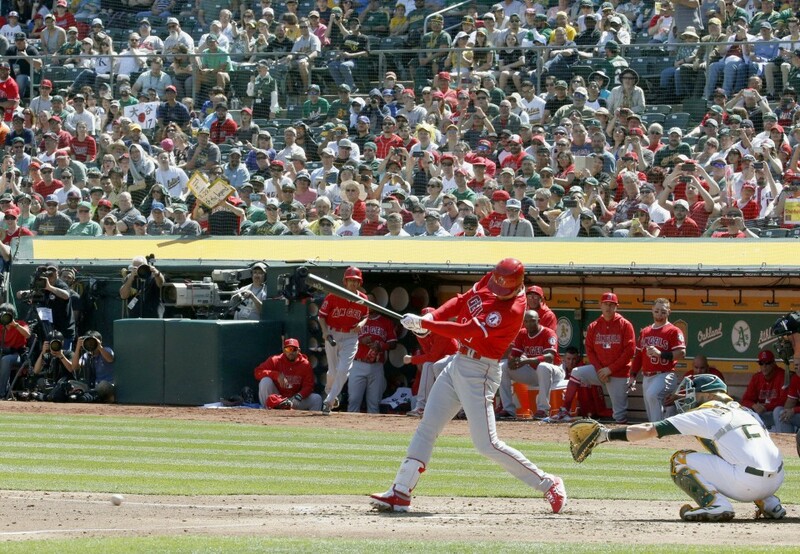 At the plate, he hit .285 with 61 RBIs and 10 stolen bases in 104 games.